The Live New Experience brings a collective CJ lifestyle to Los Angeles, offering a one-of-a-kind opportunity to navigate through new discoveries. Meet the latest of K-beauty curated by Olive Young, featuring a range of private brand items not available at US retail outlets. Share the excitement with Bibigo’s exclusive K-style food adventures – from tasting at Bibigo Sawtelle, food art installations, to beauty collaboration with SEP Beauty. Experience K-entertainment that goes beyond the stage through CelebShop merchandise created in collaboration with K-Pop boy band WannaOne and live dance covers from our special guests. 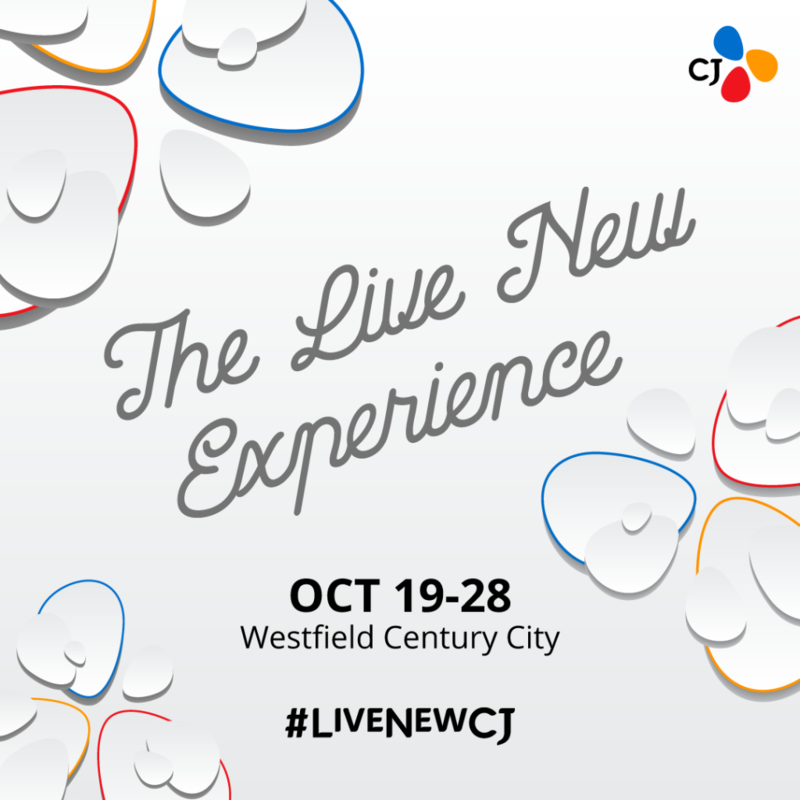 Escape your ordinary at The Live New Experience by CJ and come discover your newest obsession!